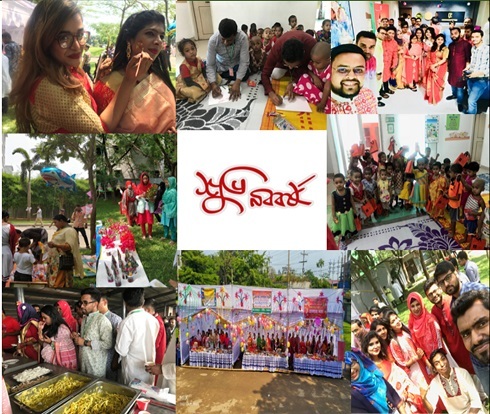 On the occasion of Bengali New Year SQ has celebrated in all its premises on 15th April 2018 (Sunday). The locations were brightly decorated and all employees wore traditional clothes to celebrate the occasion. There were day long fun activities to rejoice the new year, like Baisakhi mela, alpona booth, Bangladeshi traditional delicacies, various stalls, art competition for children, Baisakhi songs and much more!